Villa Paradise is one of our last incorporations to our Permium Villa catalogue, with all luxury comfort. A house that has been thought to provide a unique experience, to feel and live Menorca in the best way. The house is built in 3 levels, the first being a large open area with lounge, dining and kitchen, with big windows that provide light and give access to a fantastic terrace with spectacular sea views. The lounge has a large flat TV and games console. The dining table is a unique art piece, made in marble with detailed inlayed motives. The open style kitchen is practical and is fully equipped. The terrace benefits of a relaxing sofa area and large dining table for al fresco meals. On the lower floor, you can find 4 large double bedrooms, two with doulbe beds, and two with single beds. All have en-suite shower rooms and sea views. Finally, in the basement floor, you will find the also very large fith bedroom, with 2 single beds, en suite shower room and dressing area. All the house house has air conditioning and Wifi. 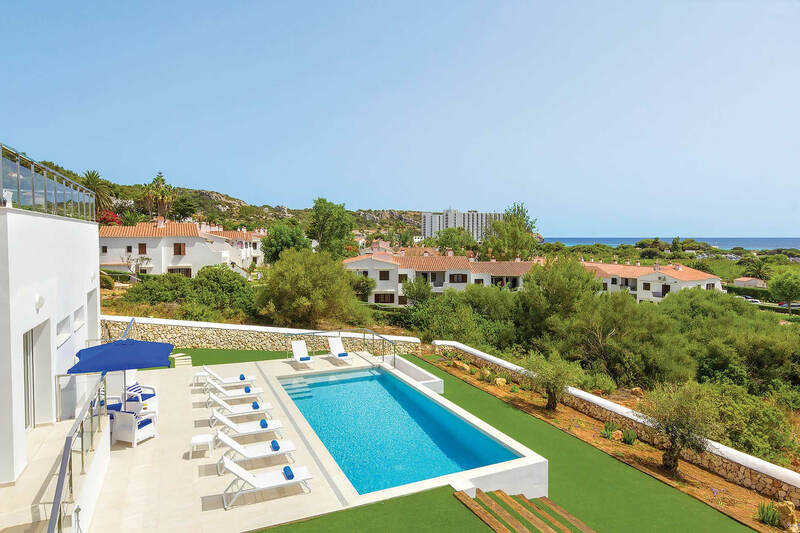 The Villa Paradise experience is completed with the exterior terrace, with a private pool, sunloungers, chill out sofas and is surrounded by gardens that combine artificial lawn with local vegetation. 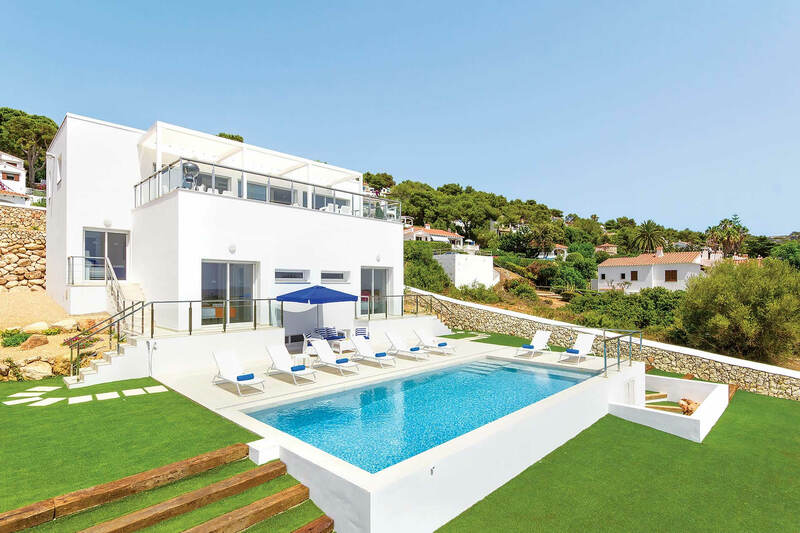 To sum up, the location of the villa is just 10 minute walk from the Son Bou Beach, making Villa Paradise a unique option for the best family holidays.